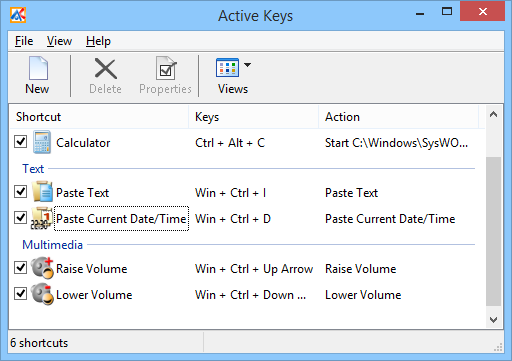 Active Keys is available for immediate download. Sound Volume Control (raise/lower volume with adjustable speed) - includes sound volume indicator with ajustable appearence. Do you need another action? 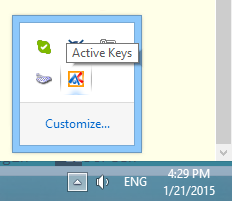 Email us and we'll try to include it to the next version of Active Keys. 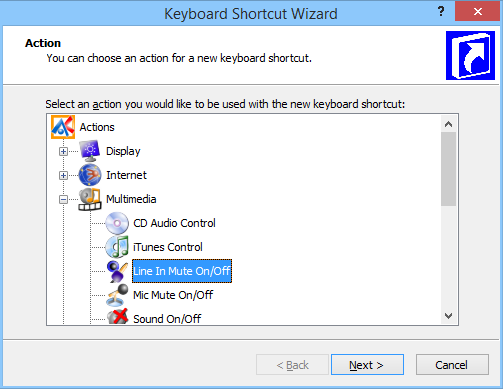 Create new shortcuts with the Wizard. 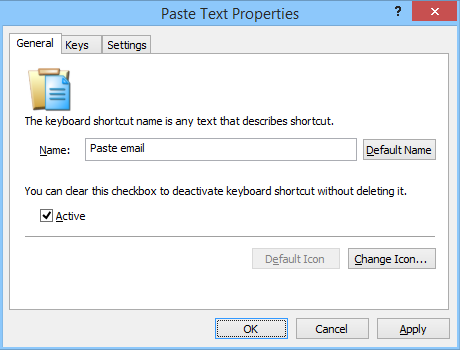 Properties dialog for editing keyboard shortcuts.